Back in February I blogged about how thrilled we had been to spy a fox strolling along the back of the garden and I referred to it as a "he". Well, I may have been wrong about that because just a couple of hours ago I looked up from doing household chores to see a small russet coloured animal sniffing around the back garden. Was it a small dog er.......no.................! It was a fox cub! As long time dog owners we guesstimate his age to be around 3 months, which probably means the fox we spotted earlier this year was a momma. We watched from the window for a few minutes as he ambled back towards the fields then rushed outside to see where he went. Caught up with him sitting on the compost heap watching us approach, then he turned tail and walked off into the field. Although the grass out back is fairly tall we were able to track his progress as he followed a path of flattened grass before disappearing from view. About an hour later the farmer who uses those fields for his cattle arrived on his tractor and commenced to cut down the long grass, probably in preparation for bringing the cows in, so I wonder if we'll see the fox cub again or if the disturbance will send him off to pastures new? I really hope he sticks around as I would love to see him again and maybe he'll bring his brothers & sisters next time? The dechetterie, an experience not to be missed! Every country in Europe has it's own rules & regulations regarding recycling, it seems. When we first moved to France, almost 13 years ago, our household garbage was collected every 2 weeks (!) after a couple of years this changed to weekly. Things remained that way for a long time and then we received a letter telling of a special card/permis that we could obtain from "la mairie" which would entitle us to use the local "dechetterie" or as we like to refer to it "the dump". This certainly opened up a new world of special containers in which we could dispose of all those tricky items we had stashed in the outbuildings. Hazardous products such as old paint cans & aerosols, polysterene chips (the bane of my life), unwanted clothing, broken electrical items and much much more, the list was endless. The "dechetterie" is very strictly operated by the "Gardien" who demands to see your "permis" when you arrive and then watches like a hawk to make sure that, heaven forfend, you place something in the wrong container. So.....we loaded up the car at the weekend and went to the dump and as is the case with almost everything we do these days I captured the moment with my trusty Nikon Coolpix for a scrapbook LO. I think it turned out quite well, n'est pas. Labels: Normandy., Recycling. Dechetterie., Scrapbooking. I don't usually post more than once in a day but I've been working on a double LO for YMBD's Saturday Scraplift Challenge this afternoon and am so tickled with it that I want to blog (brag) about it tout suite! The theme o f the LO is "we love Cancun" and includes pix from our last visit in 2006 when our great friends Diane & JR, from Dallas, TX. joined us there. We love spending time in their company. I have been busy creating more scrapbooking layouts using pix taken when the family came out to visit at Easter. Young Nicholas was a big help with weeding the flower beds, whilst his Dad whiled away the afternoon watching Manchester City lose 3 - 1 to Fulham, sorry Andy!! I love to discover other bloggers who are also into scrapbooking and a recent find was 17 turtles. Blogger Juliana Michaels is celebrating her Birthday today. Hip Hip Hooray! and generous lady that she is, is turning the tables and giving away a wonderful gift of superb scrapbooking goodies & treats. The winner will be chosen at random from those who have commented on her current blog post. to maybe win the prize and drool over her fabulous LO's in the slideshow. Cat, over at YMBD, has launched a fabulous contest this week. Click on the link at the top of the page to find out all about the challenges, prizes, contests, prizes, chat, did I mention the great prizes and lots, lots more. What a treat to brighten the day. So much better than a GOM!!! Just wanted to share some great news.............the scrap book layout of my nephew Nic riding his bike, that I created for Megan's April Challenge over at YMBD, has been chosen as the winner!! The YMBD Gives Back weekend on line crop was a great success with donations so far to Cancer Research standing at $101.35. Oh the joys of rural living! Not! Our not very broad, broad band connection is hit & miss at the best of times but when it rains.............my husband's theory is that water gets into the "box" and that's why we lose the internet. Whatever the reason it has been very frustrating not being able to log on to the on line crop that is taking place at YMBD this weekend. I haven't stopped creating LO's but haven't done as many as I hoped to do, c'est la vie. At least I've a few days yet to get everything posted, fingers crossed. To celebrate National Scrapbooking Day the girls over at YMBD have arranged a wonderful all weekend, on line crop and the more we participate the more we will raise for Cancer Research. 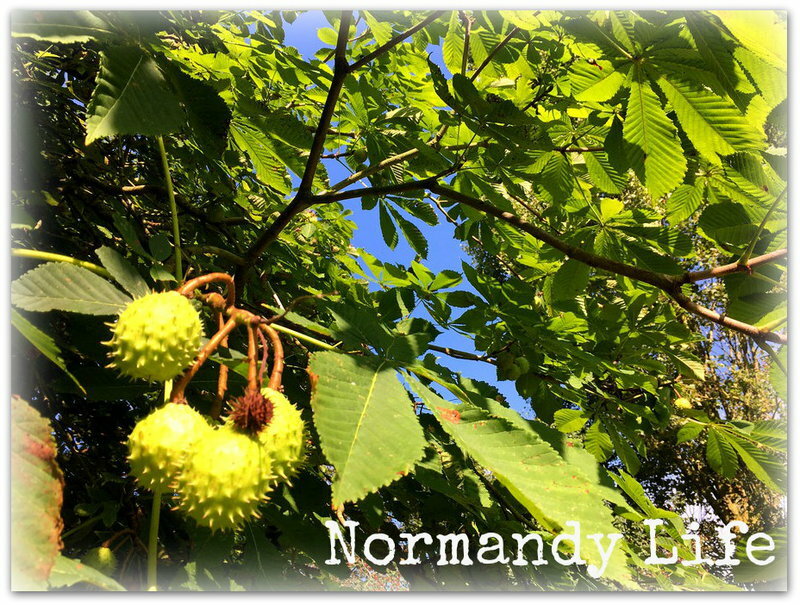 There will be all sorts of challenges, games & chat so go on over and see what's going on and be sure to check back here at Normandy Living to see my interpretations of the challenges, I'll be posting my LO's as they are completed. and here is a favourite LO that I did for one of YMBD's April challenges, the défile in Quimper 2005.